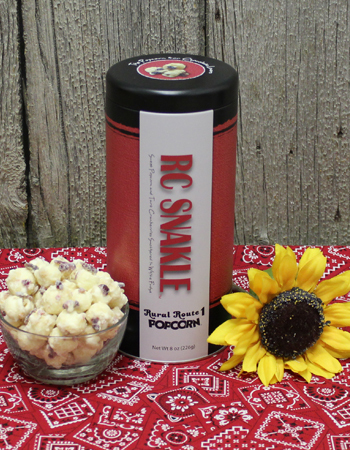 When one or two just won't do, enjoy rich, indulgent RC Snakle by the case! 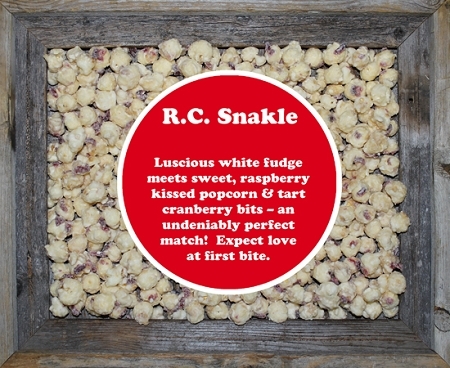 Sweet popcorn and tart cranberries smothered in white fudge- a chocolate lover's delight! Case of 12-8 oz tins. Perfect for teachers gifts or coworkers. Nice way to say "Thank You".